Intel-powered smartphones launch in Europe and China, while Broadcom goes for the low-end. will be introduced in Europe by Orange. Nearly five months after their introduction at the 2012 International Consumer Electronics Show, Intel Medfield -Atom processor-based 3G smartphones will now be available in Europe and China. These latest announcements follow on the April release of the XOLO X900 in India, by Lava International Ltd.
All three of the "Intel Inside" handsets are derived from Intel's smartphone reference platform, which is based on the 1.6GHz Atom Z2460 processor running Android 2.3 (Gingerbread). Lenovo has increased the screen size for the LePhone K800 to 4.5", at 1280 x 720 resolution. 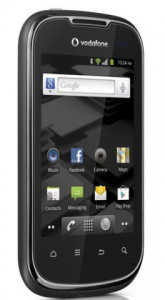 The XOLO and Orange UK San Diego handsets have the reference 4.03" screens, and identical 123mm x 63mm dimensions. The XOLO is slightly thicker, at 10.99mm versus 9.9mm for the Orange phone, accounting for a 10g greater weight. At CES, Intel and Lenovo specified Bluetooth 3.0 connectivity for the K800, but that has been downgraded to BT 2.1 in each of the current releases. Intel's Wireless Display (WiDi) also does not appear in the current feature lists. Meanwhile, Broadcom continues their strategy to push smartphones down-market, with the introduction of the Android-based "Smart II" by Vodafone. 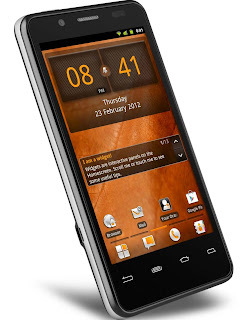 Like the Intel phones, the Smart-II runs the Gingerbread version of Google's operating system. The processor for this "mass-market" phone is the 2+ year old 65nm BCM21552, which lacks the HSPA+ capability of Broadcom's more recent chips, such as the BCM28145. The BCM21552 integrates a 832MHz ARM-11 processor, with a 7.2 Mbps (download) / 5.8Mbps (upload) HSPA modem. Vodafone says they will be offering the Smart II in the 25 markets they cover, for "under €99" (currently equivalent to ~US$123). At that low (unsubsidized) price, with only 512MB of RAM, and a 3.2Mpx camera, the Smart II will be an addition to Vodafone's "Pay as you go" line.